Olen Aasen is a corporate and securities lawyer with more than 11 years of experience in corporate, securities and regulatory matters. He has been the Corporate Secretary, General Counsel or Vice President, Legal at various Canadian and U.S.- listed companies. 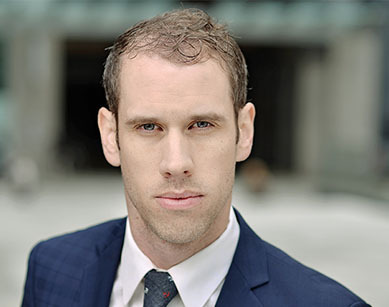 Olen did his undergraduate studies at the University of British Columbia’s Sauder School of Business, obtained his Juris Doctor degree from the University of British Columbia Law School and is a member of the British Columbia Bar. Olen was named to the 2016 Legal 500 General Counsel Powerlist: Canada. A: I started with King & Bay in February 2011. My role is Executive VP & General Counsel for the group. A: My task list is all encompassing from meetings, negotiations, document review, strategy planning, research, legal drafting, creating correspondence and communications with numerous different stakeholders. No day is ever the same and something interesting always comes up. A: When I am not at work I am either golfing, snowboarding, playing hockey, exercising or travelling to hot spots like Las Vegas, the Jersey Shore or Atlantic City.